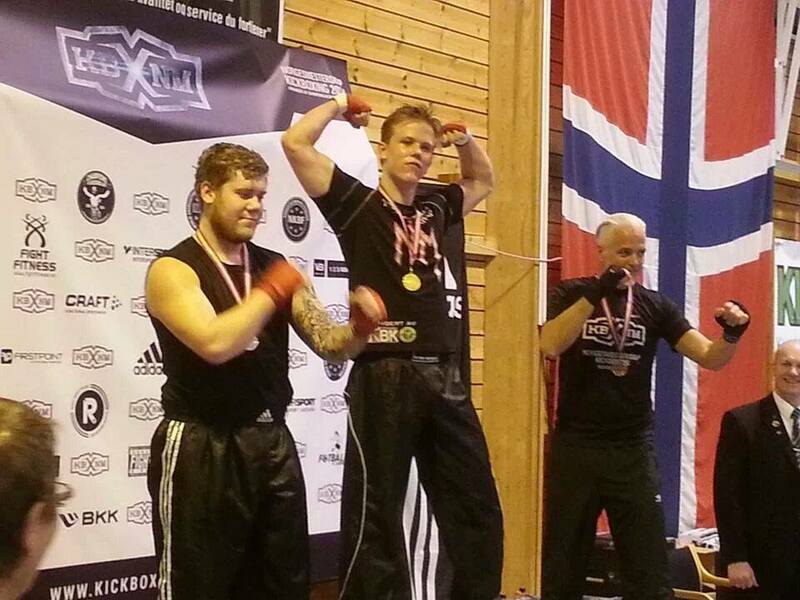 Home ‹ Guild News ‹ Our Double Norwegian Kickboxing Champion! Our very own Edgar has hit the double again – twice! Competing in the Norwegian nationals, Edgar fought through to win the gold both in today’s national championships and to come first overall in the ‘league’-based Norges Cup in the ‘lettkontakt’ division. This was also Edgar’s first defence of both titles, which he secured around about this time last year – so a double result and a double champion! Well done – and many congratulations indeed! Congrats. Did you listen to ‘Eye of the Tiger’ a lot? Well done! Why is there some old guy getting the bronze medal? Hold on. Does that mean he’s part of the vanguard for whence people start foulmouthing us with the usual “fite me irl” ?